“Global surgery” is a relatively new addition to its parent field of global health. Although the notion of surgeons from the industrialized world sharing skills and equipment with resource-scarce environments has been around for decades (largely arising out of the medical operations of the world powers’ militaries), “global surgery” as an academic interest within traditional global health circles has emerged only recently. The increasing interest in the global burden of surgical disease has largely paralleled the relatively new awareness of noncommunicable disease as a global problem. I should be clear that a consensus has only just begun to form in the last 10 years around the broadening of the definition of global health. For example, although there is an increasing effort to use “global health” in a more appropriate, literal sense, many well-qualified academics still associate the term with the unique disease burden of low- and middle-income countries. Say “global health” in a professional healthcare setting and poor, non-white people suffering from malaria or HIV is what the majority of the audience will be envisioning. It is only recently that the more complex problems of noncommunicable diseases like diabetes and cancer that span the industrialized and developing world have been authentically engaged by the global health community. Within global surgery, I am most interested in the persistent difficulty we have of finding the means of providing even the most basic surgical care for all the world’s communities. Although it will be decades before the poorest countries will have the means of performing complex surgeries like spinal fusions or coronary artery bypasses, the infrastructure and skills necessary to perform hernia repairs and thyroidectomies is well within reach. These latter cases may be less “newsworthy” but they represent substantial quality-of-life improvements for patients suffering from surgically-correctable disease. Although the field of global surgery is still in its nascent stages, a number of expert bodies are catalyzing around the idea of essential surgical care (e.g., ASAP Today, WHO GIEESC) and how best to deliver it. 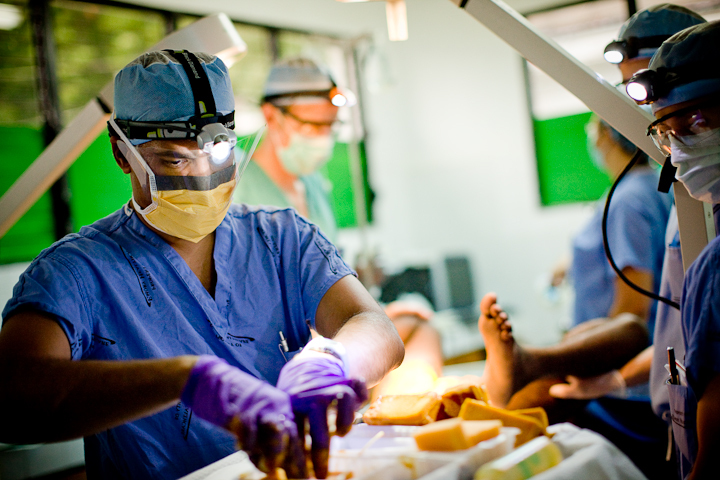 A note on the pictures: The pictures in this post include two from a humanitarian surgical mission I joined in June 2009. This was the first of a series of many missions (more in a later blog post). 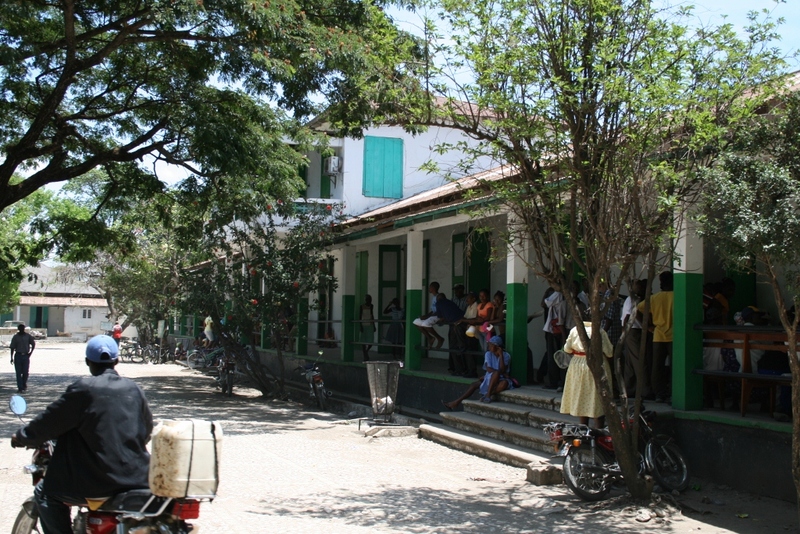 I inserted these two images here to demonstrate how even the limited infrastructure of Hôpital St. Thérèse (see “outside” photo) can provide the platform for delivering basic surgical care (see “inside” photo). The bottom picture is provided courtesy of Nick Vittone of AtlantaAperature.com.